It's that time of year again for the WindsorEssex Small Business Centre's signature annual vendor show in celebration of Small Business Month in Canada. For 2018, W.E. Shop Local Show (formerly The Small Biz Expo) will focus on providing shoppers with access to a diverse array of Windsor-Essex products and services. Love local, shop local is what it's all about! The Shop Local Show will be held on Thursday, Oct. 25 from 5 to 9 p.m. at the Fogolar Furlan Club of Windsor. This show is a free public event that will showcase over 50 local independent small business products and services including food and drink, retail products, as well as fashion, beauty, wellness, art, homewares and consumer services. This evening event includes live demonstrations, a cash bar and a networking lounge. ALLURE Beauty Boutique is a home based beauty salon located in Windsor. Owned and operated by Amanda Walsh, Allure Beauty offers eyelash extensions. The main competitive advantage is that ALLURE Beauty offers quality lash extensions at affordable prices. Clients can come and have their lashes done with spa-quality service and atmosphere. (519) 996-1065 or visit @allurebeautywindsor. The AVB is a weekly conversation between host A. J. Vanden Berghe and the movers and shakers of Windsor, ON Canada's exploding arts and culture community A. J. Vanden Berghe is a multi-disciplined artist based out of Windsor ON, Canada. A truck driver by day, A. J. has spent the last 20 years exploring the worlds of arts and entertainment photography and videography, music, poker, journalism, media and science and technology. To access AVB Podcasts visit: theavb.com. "I come in here and I feel the history," said customer John McKendrick of Blak's Bakery which celebrates a century of baking Saturday. As they've done for the last 100 years, the Blak family saved some of the rye sour Thursday morning. It's the original sour dough starter for the rye breads that have been a mainstay for Blak's Bakery which will celebrate a century of baking Saturday. "The sour is, as far as we know, the original sour from my grandfather because what we do every day is we save some to remake it for the next day," said owner Valerie Blak-Gill of the fermented mixture of flour and water that gets refreshed with more flour before it is put in the refrigerator at night to rise. "We mix it by hand so I mean you think the same sour he mixed by hand, we're mixing by hand." "Our goal is we want people to know about our small businesses and their unique products," said Lynnette Bain, vice-president of the local tourism agency. "People are motivated to buy products from this area. We also knew what the Small Business Centre (can do) to support our entrepreneurs. It's an opportunity to promote both products and services." The program, two years in the making, was put together in co-operation with the Windsor Essex Small Business Centre. There's no fee to be part of the program. September 21 The WindsorEssex Small Business Centre hosted a networking event with our Starter Company workshop participants at Spago on Dougall. Our September cohort of entrepreneurs enjoyed networking and great conversation after completing a week of business training sessions. Thank you to all who participated. Hear what our participating vendors have to say about The Shop Local Show! Tune into Blackburn Radio and AM 800 CKLW for vendor spotlights and event information. The Harrow and Colchester Chamber of Commerce, the Town of Essex, and the WindsorEssex Small Business Centre are very excited to have launched this new program. The contest will provide one lucky entrepreneur with up to $1,000 of rent for a commercial space in Harrow Centre. The contest is made possible through a grant provided by Libro Credit Union's Prosperity Fund. The Small Business Centre will be offering the courses at no cost and free mentoring. Libro will also offer free mentoring. For more information and to apply please visit visitharrow.ca/winthisspace. TECH WEEK will end on Friday, November 2 with Tech Mobility as the final highlight. This portion of the event is presented by The WindsorEssex Economic Development Corporation and focuses on the changes in the way people travel, driven by a series of converging technological and social trends. To get an idea what to expect from this year's event, here is the video from 2017 TECH WEEK YQG . This two part workshop is for any arts professionals looking for ways to expand their current renter audience or just starting a space rental program. This workshop also serves as a useful tool for any arts professional looking to diversify their skill set around space rentals and revenue development. Please click here for more details and to register for this event. The Small Business Centre offers three levels of membership exclusively to its clients through its Business Advantage Program. 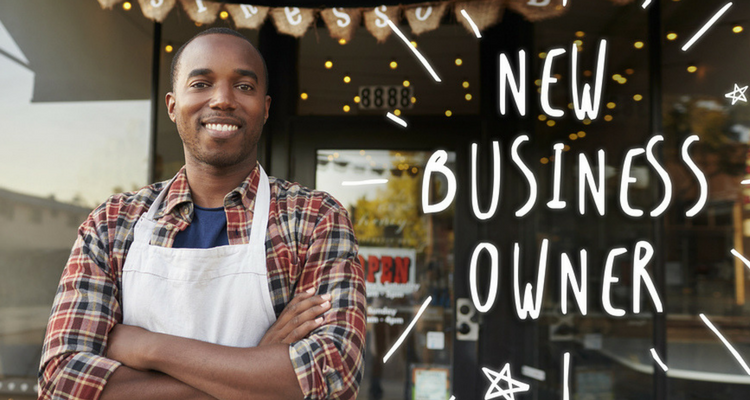 Entrepreneurs can access existing programs, training and services, as well as discounts for SBC events and a number of perks from local companies offering support to small businesses. Clients who sign up for a GROW membership can take advantage of discounted services and products from local partner businesses.